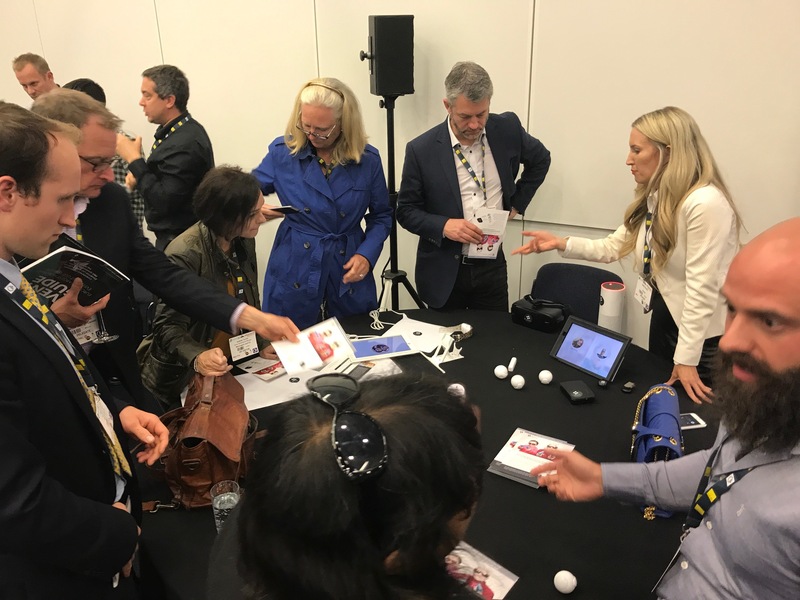 As part of the ‘Innovation and Disruption Work-Stream’ at this year CIH conference HACT ran 2 sessions showcasing the best of social and tech led innovation. The aim in both cases was to challenge the sector to re-examine their current approaches and to highlight the potential for new technology and fresh ideas in improving outcomes for both residents and the business. 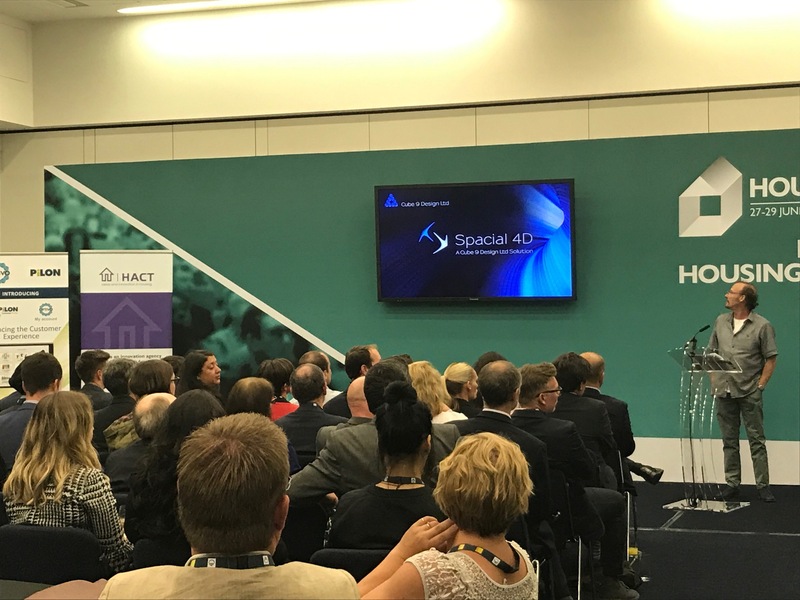 HACT are passionate about the opportunities new technologies can offer housing and for our CIH technology showcase we selected a range of new and future tech to illustrate the diverse possibilities. We featured real housing applications for chatbots, 3D scanning, VR, headless interfaces, automation and customer portals. Not everything featured is ready to be implemented now but at HACT we believe that innovation is a process of experimentation and learning and unless the sector starts to engage with future tech and begin to plan the business changes needed for adoption it will be left behind. The session kicked off with presentations from our 5 technologies before we headed over to demo stations for drinks and one on one interactions with the tech on show. Cube9Design take asset management and turn it on its head. Their approach involves replacing traditional quantity surveying techniques with 3D scans that provide a unique 3D environment to explore and assess assets from identifying defects to measuring internal space. And this is just the start Cube9Desings are working with Notting Hill Housing Group and Axis to further develop their capabilities to create a totally new 3D view on asset management. PiLON are a contractor with a difference, they built the data systems and process they use from the ground up and look to offer added value to their clients and their residents through technology. PiLON are working with Optivo to provide residents with tablet devices to access a new resident engagement portal that allows the resident to keep track of the cyclical and renovation works being carried out on their properties. The portal builds trust between resident and contractor providing real time information including the identity of contractors working on their homes a schedule of works and the ability to allow residents to express their preferences for fixtures and fittings. When the work is complete the residents keep the devices and the portal functions as point of contact between resident and housing provider. At HACT we have been shouting about chatbots for some time but until now there had been few demonstrations of their capabilities in a housing context. Ally Chatbot changes this, Ally is designed to help homeless services users access information, services, legal support and can even assist in completing ESA applications. Because Ally is a software robot it never sleeps and is ready to assist whenever a user needs support. Chatbots can transform routine information retrieval and the Ally team showed how housing providers can use chatbots to enhance their customer service offer bringing in automation, natural language processing and utilising channels such as Facebook messenger to better serve residents. Illegal subletting prevents those most in need accessing social homes and right now landlords across the country are struggling to identify and prevent illegally let properties. RentProfile’s, co-founder was himself a victim of rental fraud and so set out to develop a tool to protect tenants in the PRS along with social landlords from unscrupulous practices. Rentprofile offers a services to PRS tenants looking to verify if there PRS landlord is legit and notifies social landlords when it finds evidence that social homes are being marketed to PRS tenants. RentProfile bring automation to tenancy fraud investigation and they are now looking for housing providers to participate in their pilot programme to further develop the tool including to create links with the major listing sites to further enhance the service. Alcove think that technology for older people shouldn’t just be functional so they take the latest consumer tech and use it to enhance the lives of older people- enabling people to stay in their own homes for longer. Alcove’s platform is hardware agnostic so it can utilises the latest tech such as the Amazon Echo but also remains future proof and ready to integrate with new technologies. Alongside our future technology offer HACT are pushing the next wave of social innovations. These enable housing providers to respond to the needs of their residents and communities more effectively, through utilising local insights, resources and skills and leveraging new technology to support this process. After an open call for submissions and a first round pitching session held at the HACT offices – we whittled down candidates to 5 pitches plus Spacehive our civic launch pad beta testers. Spacehive – Transform community investment through using crowdfunding to draw on the ideas, skills and resources of the community. Activating Space – an app for bringing underused community spaces into use combined with a platform for supporting micro business take their first steps. HMR Circle – A companionship programme for older people like you’ve never seen before, providing a programme of activities that participants love. Our 6 organisations pitched their ideas to an audience of housing providers in the CIH Fringe. They received expert feedback on their ideas from our panel of dragons: Matthew Gardiner, CEO, Trafford Housing Trust; Anna O’Halloran, Managing Director, Just Housing; Emma Lindley, Quality & Standards Manager, emh group; Matt Haworth, Co-Founder, Reason Digital and Stewart Davison, Head of Business Development at Capita. Following the pitches we moved things to our drinks reception hosted by Retinue at Cloud 23 for further conversations with a drink in hand. A big thanks to all the innovative companies that came to share their ideas – we will be back in the autumn with a programme of events, pitching days and workshops featuring the best of social and tech led innovation.